Cheerful Cheryl has a busy weekend. – Chatsworth Road Festival. Cheerful Cheryl has a busy weekend. 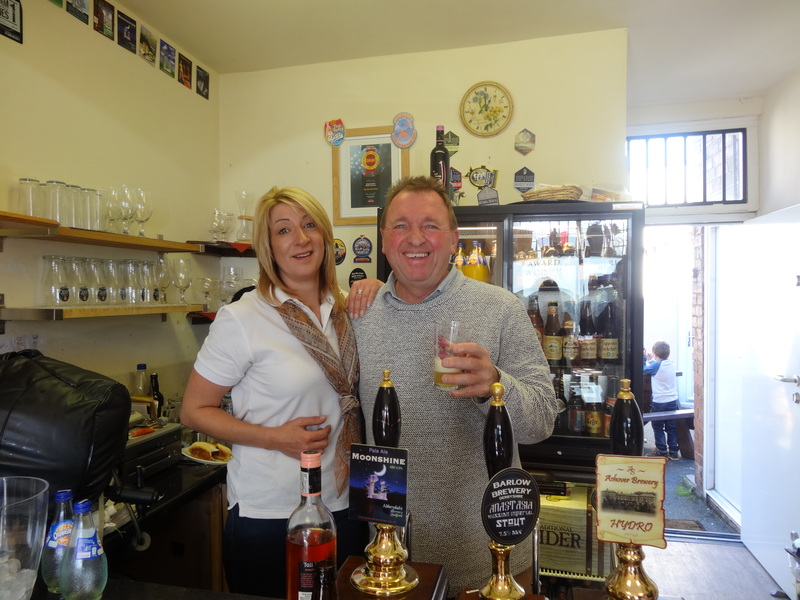 Cheryl and Howard Borrell find some beer left at Real Ale Corner. It was so busy at the Real Ale Corner over the weekend that they sold most of the beer (intended to accompany the sausages on Sunday) on the Saturday. Sunday was just as busy and the festival sausages were superb (see previous post with happy banger eating cyclists).